Tucked away in the corner of Guernsey’s Priaulx Library is a framed plaque, written in ornate gothic script that lists the names of 29 Guernseymen. 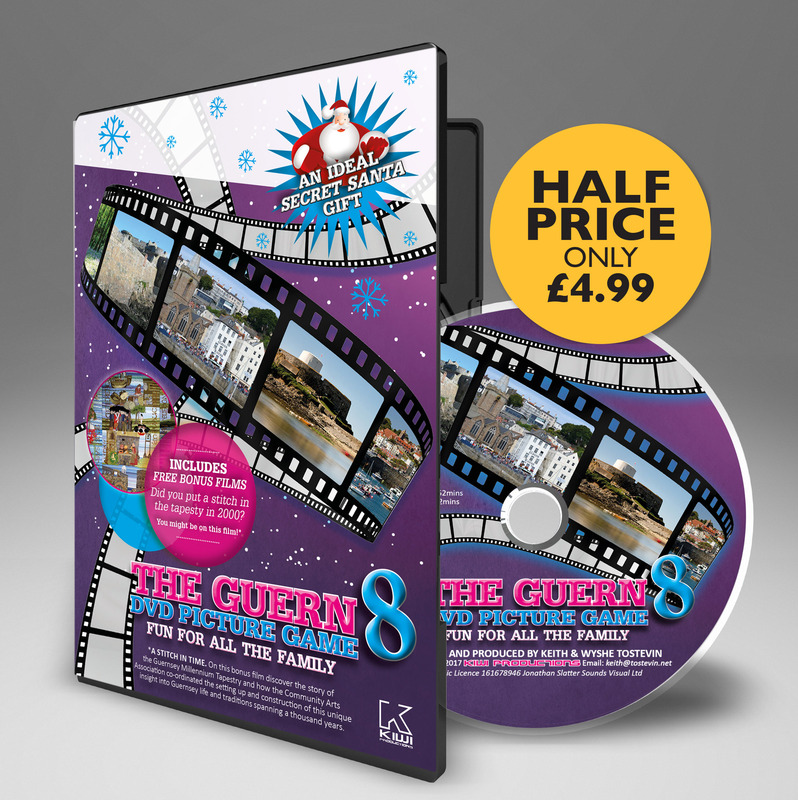 Not just any Guernseymen but men who were there at the possibly most famous naval engagement in history. It’s a list to make you stop and wonder what deeds these men performed that day, what horrors and what acts of courage they witnessed. We may never know for sure but in this article we dig into some of the details of these men that we do know. Men who, that day of days, served their beloved Admiral Nelson and the hungry guns. At 2 minutes to noon on the 21st October 1805, in a light southerly breeze off Cape Trafalgar, the French 74-gun man-of-war Fougueux fired the first shots of a battle that has gone down in history as one of the greatest ever sea battles, a resounding victory for the Royal Navy. It crushed Napoleonic sea power, confirmed British naval supremacy for over a hundred years and immortalised the fame of Vice Admiral Lord Nelson. In a little more than 4 hours, Nelson’s 27 ships of the line utterly annihilated the combined Franco-Spanish fleet of 33 ships of the line. Twenty French and Spanish vessels, including the 136-gun four-decker Santissima Trinidad, the largest ship in the world, were at one time taken as prize or lowered their colours. The battle of Trafalgar came in the middle of the two and a half decades of European conflict known as the Revolutionary and Napoleonic Wars. This long drawn out world wide war commenced in August 1792, when Austria and Pruss ia attacked Revolutionary France. 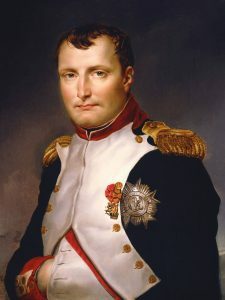 Britain and other European allies joined in the following year, and it was in December 1793 that Napoleon Bonaparte first came to national prominence, when he played a leading role in the recapture of the naval port of Toulon from the British. Bonaparte was promoted to the rank of brigadier general – aged only 24. Subsequently Bonaparte became involved in internal upheavals, quelling a royalist mob in Paris in October 1795 He then went on to conduct a brilliant campaign against the Austrians in Italy in 1796-7, obliging the Austrians to hand over the Austrian Netherlands (modern Belgium) to France. Although his campaign in Egypt in 1798 ended in defeat at the hands of the British , his star in France remained in the ascendant, and in November 1799 he seized power as ‘first consul ‘, with virtually dictatorial powers. After a brief period of peace in 1802- 3, the war continued, and in 1804 Bonaparte horrified many of his republican admirers around the world when he declared himself to be the Emperor Napoleon I. He had rightly calculated that his military successes against the enemies of France had earned him sufficient popularity at home, not least in the army, to make such a bold step. Napoleon’s next step was to eliminate France’s perpetual enemy, Britain. Invasion plans werw made and men assembled but without control of the English Channel any invasion attempts would lead to disaster. So it was against this backdrop that England’s most famous sailor, Horatio Nelson, ws tasked with preventing this by keeping control of the seas around Britain. Nelson is arguably Englands most famous and successful naval commander ever. He joined the navy aged 12, on a ship commanded by a maternal uncle and rose rapidly to become a captain at 20. He saw service in pretty much all parts of Britain’s growing Empire including the West Indies, Baltic and Canada. When Britain entered the French Revolutionary Wars in 1793, Nelson was given command of the Agamemnon where he served in the Mediterranean, helped capture Corsica and saw battle at Calvi (where he lost the sight in his right eye). He would later lose his right arm at the Battle of Santa Cruz de Tenerife in 1797. As a commander he was known for bold action, and the occasional disregard of orders from his seniors. This defiance brought him victories against the Spanish off Cape Vincent in 1797, and at the Battle of Copenhagen 4 years later, where he ignored orders to cease action by putting his telescope to his blind eye and claiming he couldn’t seen the signal to withdraw. At the Battle of the Nile in 1798, he successfully destroyed Napoleon’s fleet and thus his bid for a direct trade route to India. Nelson’s next posting took him to Naples, where he fell in love with Emma, Lady Hamilton. Although they remained in their respective marriages, Nelson and Emma Hamilton considered each other soul-mates and had a child together, Horatia, in 1801. Earlier that same year, Nelson was promoted to vice-admiral. 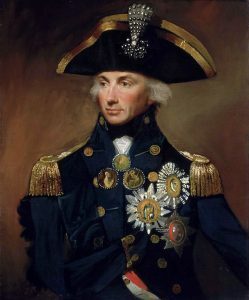 Over the period 1794 to 1805, under Nelson’s leadership, the Royal Navy proved its supremacy over the French with his most famous engagement, at Cape Trafalgar, where he saved Britain from threat of invasion by Napoleon, but it would be his last. He was killed by a French sniper a few hours into the battle. His body was preserved in brandy and transported back to England where he was given a state funeral. He is buried in St. Paul’s Cathedral. Comments: From: Achille vol?, Pickle SB 34? Comments: Discharged from the service 16 Sept 1814.